Numerical computations are ubiquitous in digital systems: supervision, prediction, simulation and signal processing rely heavily on numerical calculus to achieve desired goals. Design and verification of numerical algorithms has a unique set of challenges, which set it apart from rest of software verification. To achieve the verification and validation of global properties, numerical techniques need to precisely represent local behaviors of each component. The implementation of numerical techniques on modern hardware adds another layer of approximation because of the use of finite representations of infinite precision numbers that usually lack basic arithmetic properties such as commutativity and associativity. Finally, the development and analysis of cyber-physical systems (CPS) which involve the interacting continuous and discrete components pose a further challenge. It is hence imperative to develop logical and mathematical techniques for the reasoning about programmability and reliability. The NSV workshop is dedicated to the development of such techniques. We solicit regular and short papers. Paper submission must be performed via the EasyChair system. Regular papers must describe original work, be written and presented in English, and must not substantially overlap with papers that have been published or that are simultaneously submitted to a journal or a conference with refereed proceedings. Submitted papers will be judged on the basis of significance, relevance, correctness, originality, and clarity. They should clearly identify what has been accomplished and why it is significant. Regular paper submissions should not exceed 15 pages in LNCS style, including bibliography and well-marked appendices. Program committee members are not required to read the appendices, and thus papers must be intelligible without them. Short papers are also welcome, they should present tools, benchmarks, case-studies or be extended abstracts of ongoing research. Short papers should not exceed 6 pages. 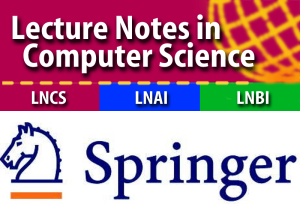 All accepted papers will be published as Lecture Notes in Computer Science (LNCS) with Springer Verlag. The workshop proceedings can be accessed for free for a limited time frame through the following link. 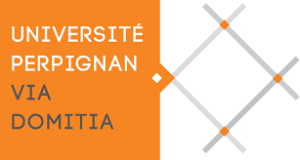 The call for papers (ASCII) can be downloaded here. Alexandre Chapoutot and Julien Alexandre Dit Sandretto. Nasrine Damouche, Matthieu Martel, Pavel Panchekha, Chen Qiu, Alexander Sanchez-Stern and Zachary Tatlock. 6:00: Workshop dinner at WVRST (near Hyatt). We will start walking there from the workshop venue shortly after 5pm. Sidi Mohamed Beillahi, Umair Siddique and Sofiene Tahar. general quantitative analysis and control synthesis problems. ONERA and ENSEEIHT (Toulouse, France). workflow is to get the equations of the control model from MapleSim. simulate the control algorithm and program the hardware controller. on some benchmarks. The first results are very encouraging. the development of safety- and mission-critical embedded systems. with each case referring to a particular behavioral mode for the component. the University of Iowa that provides full support for CoCoSpec.